it was raining hard the whole day of Saturday. A typhoon was approaching Tokyo. I have already missed the opportunity to go around Tokyo during my business trip during the week because of the busy days. I was in Tokyo for work – so that took priority over sight seeing. 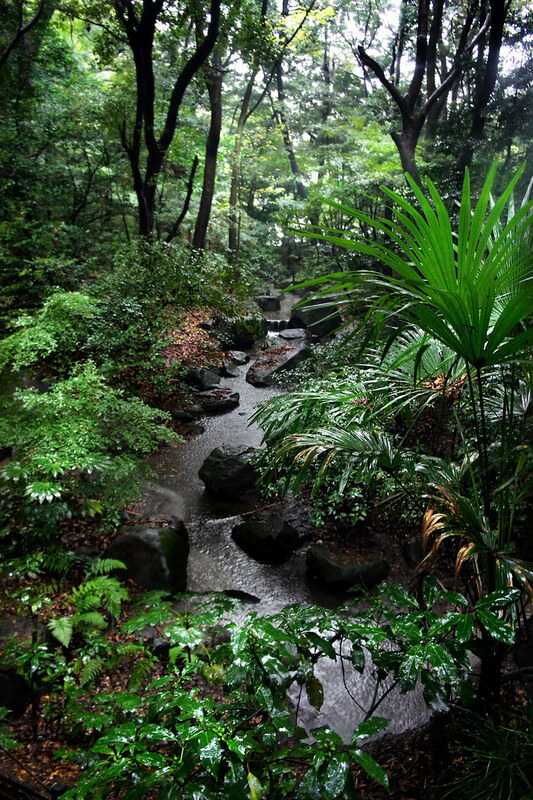 However – on this Saturday – I told myself that I will brave the rains and the strong winds to visit the Meiji Shrine. The Meiji Shrine was built in commemoration of Emperor Meiji and Empress Shoken. It is located in the middle of a forest that covers 175 acres. If I counted right, I saw four Tori gates from the entrance to the actual shrine. The trees looked amazing – and made me wish that I was there a little bit later in November when the leaves turn into their autumn colors. 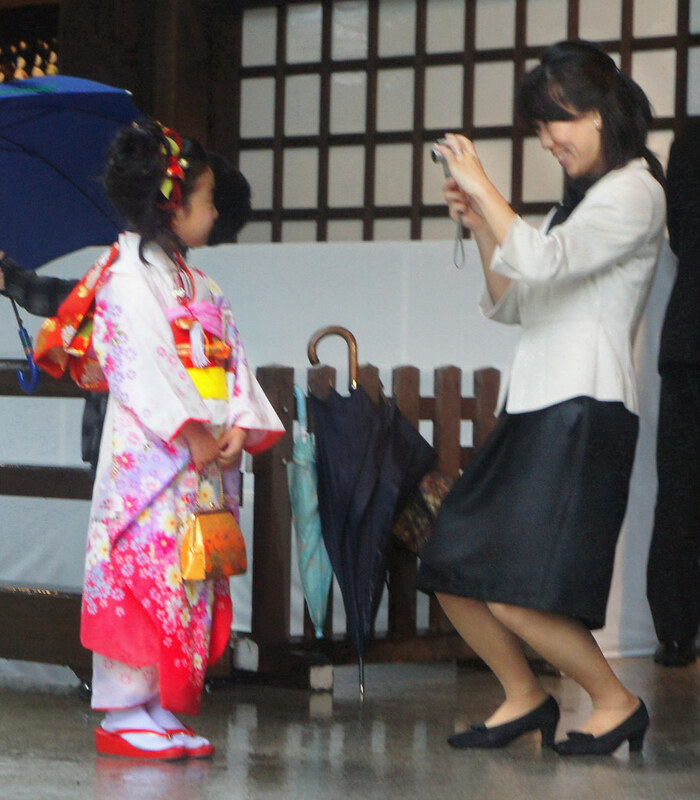 The shrine proved to be a good place to spot Japanese women in their traditional Kimono. There were a number of them who seemed to be preparing for an event. 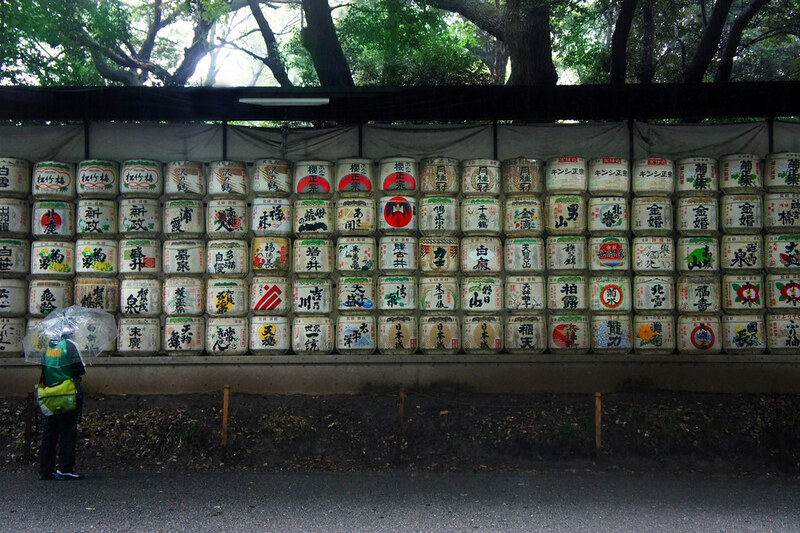 The park also houses a display of wine and Nihonshu (sake) barrels. From what I read, these were donations. 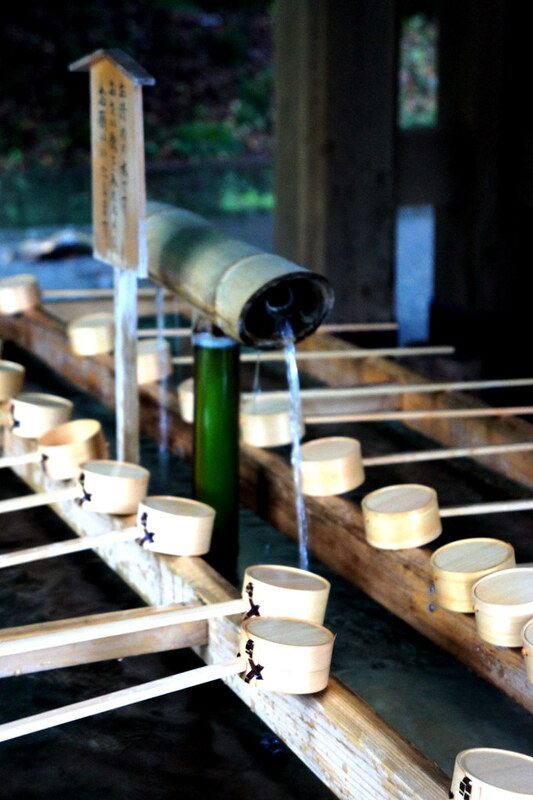 Seeing them reminds me of the delicious sake I was served on my first night in Tokyo. With the visit to Meiji – I pretty much covered all of the tourist destinations of the city. Now that I’m back home in Manila - I dream of the city. I vow that I will go back to Tokyo soon. I never really understood the apparent addiction of Tokyo tourists to the city – but with Two visits to Tokyo this year, I can now understand why. Tokyo is just different from other cities I’ve been to. It’s got an interesting combination of Modern and Traditional. I think that next to home – Tokyo is my favorite city in the world. It's the perfect rain gear. But i wish i had boots.